Enjoy a selection of Advanced Spinal Care patient testimonials below and contact the office if you have any questions. I am a 63 year old woman. I visited the Bay Area in California for a few months in early 2010. Since October 2009, I have suffered from acute back pain near the right shoulder blade and right arm. My right hand and fingers suffered numbness. Additionally, I also experienced serious attacks of Vertigo and was taken to the emergency room while I was in my country. All the medical tests I underwent ruled out any serious illness. I was prescribed medication for continuous dizzy spells, as well as narcotic pain relief tablets. But the pain and acute discomfort persisted. 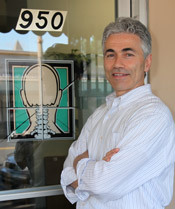 While I was in California in January 2010, I learned through referrals of PETE TSIGLIERIS, BA, DC, in Redwood City, CA who specializes in neck and spine correction. I had my doubts: whether a chiropractor would be able to provide pain relief, and I was worried that I would have to endure the pain for the rest of my life. My first appointment with Dr. Pete lasted for 3 hours. He conducted x-rays of the neck area and performed other balance alignment examinations. His diagnosis was that the right side of the 5th neck disc had degenerated, which was pressing the main nerve that went down the back and the right arm to the hand and fingers. The problem had been there for 25 years he said. He very gently aligned my neck, head, and spine – it felt like he had done nothing. He assured me that the pain would go away. For pain relief he gave me enzyme-based anti inflammation pills, and recommended that I visit him twice a week for the initial period, and then depending on the progress, the visits could be after longer intervals. I visited him twice a week for two weeks, alignment corrections were done, and gradually I got relief from back pain. He recommended simple exercises for me to do at home. It is unbelievable, that after a month I was completely relieved of the pain in the back, shoulder, arm and hand. I got well. It also appears that the Vertigo was caused by the pinched nerve. I did not take steroids, nor did I undergo surgery. I have discontinued the pain relief medicine completely. I am able to lead a normal productive life once again. This is my incredible experience through the very gentle treatment of Dr. Pete, a Chiropractor, of Advanced Spinal Care – Create Balance Live Life Well! I really can’t thank you enough for helping me heal my bad back. Needless to say, that by the time I learned about you and your particular advanced treatment (NUCCA Chiropractic), that I had seen every type of back specialist possible. My only recourse according to them was to schedule surgery. That alternative was the last thing that I wanted to do, but considering the great amount of pain that I was in and the other doctor’s recommendations, I felt hopeless and that I had to make a timely decision if I wanted to save the nerves in my arm. Pure logic must have kicked in especially when I realized that all of the other doctors who were supposed to be specialists in the area of back inquiries made their recommendations of treatment based on treating the problem, rather than treating the cause of the problem. I will never forget my experience with the neurosurgeon who refused to even touch my back when I told him about my area of pain, however, quickly recommended me to sit in a head traction three times a day, stay in bed for two weeks, not move around more than necessary, take the pain medication when ever needed and to call him in two weeks to let him know if I was better or whether I should schedule surgery. All of his great advise cost my insurance company $550.00 for the 30 minute consultation. You promised, if I were to follow your NUCCA Chiropractic treatment for one week that my pain would decrease by at least 25%. But my results proved much better. By two weeks, I had no pain what so ever. It was like a miracle had been bestowed on me. I feel some way God directed me to find you. I realized more than ever to live a happy, rewarding and active life that having a strong healthy back is critical. I am thankful that there are great doctors like you that take their work and knowledge seriously and passionately. For it is doctors like you, that can help patients like me, enjoy their lives to the fullest. Thank you so much for your expert care. Seeing you has changed my lifestyle in the most positive ways. For eight years I saw well over a dozen different chiropractors (as well as “conventional” medical personnel). My neck and back would be okay for a few days, then would return to a state of pain and inflexibility. I first came to see you almost three years ago. You explained your procedure, and quite frankly it did not make much sense to me at first. For some reason I went ahead. I am so grateful that I had enough trust to make that decision. Although I’ve only seen you a few times, the difference is amazing. The freedom of movement and the fact that my shoulders no longer “freeze up” means I can now ride my bike, tap dance, and was able to win two racquetball tournaments (I was unable to play for eight years!). A month ago I was in a high speed auto accident. That tweaked my neck differently than before. I’ve seen you three times since, and on the third time I did not even need an adjustment. Thank you so much. What can I say? Your work is first rate, and your commitment to your patients is as well. A million thanks is not enough. I had lived with very intense sharp pain for about eight months. Pain originated in the lower neck and spread down my left arm and the left side of my back. A physician suggested rest, provided me with pain medication and then referred me to a neurologist. The neurologist provided me with more pain medication and prescribed 12 sessions of physical therapy, as well as his own pain treatment (neuro-electronical stimulation). Also tried acupuncture and massage therapy. Pain and reliance on medication has dropped considerably. Blood flow to the affected areas seems better. Tension seems to have dropped. There are long periods each day or sometime two to three days where I am pain free. Due to the improvement I have been able to get back to a regular exercise regiment and as a result lost about 20 pounds. I had an automobile accident in which our car was rear-ended caused me great pain and stiffness in my neck and shoulders. My head was twisted to the right and I had pain causing me to lose sleep and preventing me from pursuing the yoga and exercise that is an important part of my life. I had begun a holistic approach to physical therapy based on Pilates principles that were helping me to learn how to direct tension away from the injured head and shoulder area. My physical therapist urged me to see Dr. Tsiglieris based on her own positive results in treatment. My head is visibly more balanced. I felt an immediate improvement in pain and tension. Also, my range of motion, which had been extremely limited by the accident, is improving. I am sleeping through the night and hope to hold the adjustment well as my treatment progresses. I very much appreciate Dr. Tsiglieris’ straightforward approach and his willingness to discuss the treatment and explain the process. Unfortunately, sharing information with patients is less and less part of a physician’s practice, despite the obvious importance of each of us participating actively on our own healing. This is a surprising change! What led me to seek help was when I experienced severe neck pain after sanding my deck for a week. I could not lower my head without pain and my neck just generally ached. My therapist had heard Dr. Tsiglieris on the radio. Since my first NUCCA adjustment, my neck feels light and free. It turns smoothly and easily. My posture in general is straighter and I feel more balanced. My back has not felt tired since the adjustment and I am more aware of when I am misusing it. Dr. Tsiglieris has been wonderful to work with – friendly, informative, and supportive! I was diagnosed with Fibromyalgia. My pain was out of control. I was unable to stand for more than a few minutes. Awakened at night at least five to six times by pain. In pain 24 hours a day. I was morbidly depressed. Doctors prescribed anti-depressants and pain pills (which rarely alleviated pain). I always tried to be pleasant so I don’t recall any help from anti-depressants. A friend heard Dr. Tsiglieris on the radio, then I did. She urged me to check him out. I awake only once a night not 5 or 6 times and usually it’s only the bladder discomfort. I can walk much further now, pain is not as intense (from only one block up to now eight blocks). Unless I have a flare up, I walk my dogs every day. I was worried that Dr, Tsiglieris’ treatment was so mild that it would not help me at all. In fact, it made my life bearable again. The only down side was the nerves that woke up and made there presence unpleasantly noticeable for about three weeks. In my experience with Dr. Pete Tsiglieris, I have had many changes take place in my body. To start out, when I was 15, I was suffering from low back pain that was pinching the sciatic nerve causing hip pain. This pain was felt at random times, and at times could make any pressure on the left foot unbearable going straight to the hip. Along with this pain, at “that time of the month”, my hip would go numb from about my belly button to just blow the buttocks. The numbness was accompanied by a tenseness and discomfort in standing sitting and laying down. I also had tightness in my upper back and shoulders. I am an insomniac, have been from birth, along with suffering from horrific nightmares. About six months before I met Dr. Tsiglieris I had been diagnosed with Inflammatory Bowel Disease (IFD) and Irritable Bowl Syndrome (IBS) and associated arthritis. All at the glorious age of 22! It took me about six months to fully understand all the changes that my body had gone through as a result of being in alignment. The first thing that I had noticed was, that my hips no longer went numb…Wow! And after about three weeks without any hip pain at all I realized it must have been a result of being in alignment. We found that my low back pain was due to the abnormally great angle of my coccyx, in which Dr. Tsiglieris recommended exercises to alleviate the pain, but that pain no longer pinches through my hip… at all! The next thing was that my IBS had not been acting up. Since the initial adjustment I haven’t had any symptoms. I couldn’t believe that being out of alignment could have led to these discomforts, and I never would have dreamed that something so simple could have fixed them. I am sleeping more through the night, instead of waking up about 5 to 10 times a night I now wake between 1 and 2 times a night. And just today I realized after waking up to a nightmare, that I haven’t had one in almost a month. The nightmares were every night for as long as I can remember. The arthritis I have been suffering from has not flared up as severely since being in alignment, and the IBD is less severe as well. The most amazing thing is that I have my life back. For the last two years I had become a victim of my ailments, constantly depressed, sometimes bedridden at 9:00 pm from abdominal pain and feeling completely helpless. And the worst of it was that my family felt helpless, my mother would cry at times because she couldn’t help me or comfort me in my life of constant pain, be it from one area or another. For the first time in a long time, I feel my age, and I can be my age. I can stay out till midnight, or take spontaneous trips without wondering if I will be ok. Or ruining it because I don’t feel well and someone feels like they have to stay with me. I HAVEN’T BEEN LIVING FOR ALMOST SEVEN YEARS, I’d been hiding hoping no one noticed me (that way I would not have to go anywhere), AND NOW I CAN LIVE AGAIN!!!! I FEEL GREAT!!!! My family was so impressed with my recovery through being in alignment that they all decided to get checked by Dr. Tsiglieris and now my dad can stand for more than five minutes at a time without pain, my mom feels “right” to use her exact words, and my brother says he feels he can stand straighter, and he has less pain. Toward the end of July, I fell straight down o my tailbone. I was stunned at the time and more than embarrassed. I’m 48 and I fell off a swing at a playground! At the time, I thought all that was wounded was my pride. But over the next two days, I began to feel an awful pain that would shoot up my back from my tailbone when I sat down, especially if it was a firm surface. The sofa was okay but a kitchen chair was painful. I tried soaking in hot baths with Epson salt. It tried mineral ice products. I did some easy stretches to try and ease the pain. Nothing was working and I was scared. It felt like the fall had jammed everything up toward my head. I suddenly felt old and was terrified that I’d really hurt my body and worse yet that it might stay that way. After three visits to Dr. Pete Tsiglieris, the tailbone pain was completely gone. During two of those visits, I got an adjustment. On the third one, the adjustment was holding so he only charged me for a check-up. I decided to keep going back for more visits because I could see this kind of chiropractic care was really effective. I told Dr. Pete Tsiglieris, I really wanted my posture to improve and for my back to get stronger. He gave me some simple exercise I could do every night. They just took a few minutes but he told me it was a consistency over time that really worked. I take improv classes and my teacher, who is also my best friend remarked how much more relaxed and confident my body looked. I know it sounds incredible but I feel it helped my confidence. When I went to Dr. Pete Tsiglieris, I was telling him how nervous I’d been lately…not just from the fall I took…but I wasn’t sleeping good and I didn’t have the energy I used to. Now, it’s three months since I stared working with him and I feel completely different. I can see my posture is better. I have more energy. I can see and feel my stomach muscles holding my stomach up which is supporting my lower back. My neck muscles are a lot stronger and I can feel when I’m leaning too far forward at the computer…a bad habit I’d developed. Before, I didn’t pay too much attention to my posture but my body reminds me now. I am amazed how much more aware I am of my posture and the balance of my body. I highly recommend Dr. Pete Tsiglieris. Not only is he an excellent NUCCA chiropractor with a gentle touch, he’s a down-to-earth and caring person…and his fees are reasonable. I was diagnosed with a herniated disc. I was unable to stand straight, and muscle spasms caused one leg to be shorter than the other. My spine has righted itself. I feel much better. The pain is nearly gone. My legs are now back to being the same length. My energy level is improving. I am able to travel. My body continues to heal. I have had low back pain since I was fourteen years old, after a rear end car accident. It progressed to the point where I would have pain down the right leg that would get severe at times. I also had developed pain in my upper back that would come and go, sometimes feeling like someone had stick me with a knife in between my shoulder blades.I had been to conventional chiropractors off and on with some results = about 50% reduction in pain, but it had always returned. I went to see Dr. Tsiglieris after I noticed the lower back pain getting bad again. When I would stand for any length of time I would feel pain down my right leg and it was getting worse. Since having the upper cervical correction about two months ago there has been about a 90% reduction in both the upper and lower back pain, with no pain down the leg at all. I am extremely pleased with the results from having been treated at Advanced Spinal Care and would recommend Dr. Tsiglieris to anyone, especially those who have had minimal results with other methods. I used to get excruciating pain in my lower back, that would radiate down my legs for two years. My work requires me, at times for hours, loading and unloading kilns and other types of labor, the pain became daily, and so intense that I could not stand straight anymore. I also had knee pain more often which was from an old knee injury. I took a lot of painkillers such as Advil. Finally I am able to work without being in such pain, I don’t have to take pain killers continuously, and my knee pain has improved. I just wanted to let you know how much I appreciate all that you have done for me. I have been to chiropractors all over the country for the last 15 years and they have never offered me anything more than a short-term solution for my lower back problems. Your technique, which is much less intrusive, has offered me sustained health and relief and has allowed me to get on with my life. And, my legs have remained the same length for three months now. That in itself is a minor miracle.Thank you again for all your help. I came in with major low back pain, neck pain and stiffness, tingling in upper left leg. Doctors advised painkillers such as Tylenol or Advil, which did not help at all! I am now able to bend over without any pain (more flexibility), my low back does not hurt anymore. I feel great overall now! I heard Dr. Tsiglieris’ radio program, “The Third Opinion,” several months ago. I decided to make an appointment to see if his method could help ease my back pain. After the initial consultation, I decided to give it a try. I was in a great deal of pain because of a severe back injury that occurred several years ago. I tried other kinds of treatment over the years, but none of them were giving me lasting relief. Dr. Tsiglieris’ treatment was surprisingly painless and I felt an ease of discomfort after the visit. I continued with subsequent visits and followed his advice to maximize treatment. I am now able to perform tasks that I have not been able to do for years, and I enjoy the quality of life that I thought was lost. I was suffering from digestive problems, acid reflux, neck, back, shoulder pain and migraine headaches. I tried herbs, vitamins, meditation, stretching, walking and daily workouts. Then I heard Dr. Tsiglieris on the radio. My migraine headaches, acid reflux, back and shoulder pain has cleared up. I feel 150% better. I can turn my head further to the left and the right. My eyesight has improved, my mind seems clearer. I feel better about my life in general. Thank You! God bless you. I was suffering from sinus headaches, TMJ, neck pain, shoulder pain and tendonitis. I had tried acupuncture, different chiropractic care systems with minimal results. Someone heard Dr. Tsiglieris on the radio and informed me about his work. After getting my spine corrected, I am able to breathe easily, sinus open, ease of movement in neck area when exercising. NO more headaches! This letter is to thank you for the tremendous care you have provided me through NUCCA chiropractic. To me, there is life ‘Before NUCCA’ and ‘After NUCCA’ – it has been just that revolutionary an experience. I will summarize my experience thus far. For six years, I have been coping with a maddening case of TMJ, which became even more intense over the last two years. My dentist ground down a couple of my teeth, and I had numerous retainers throughout the years that I wore to try to calm my jaw. Dental appointments became a problem from the discomfort of keeping my mouth open. Everyday my jaw would clinch and ache. One of my teeth often became inflamed and loosened form the grinding. I had debilitating headaches that often lasted for days. It was not only aggravating, but demoralizing, as well. Nothing helped and it just kept getting worse. Seemingly unrelated to my jaw problem, a few years ago, I became aware that my hips were not even, and that one my m legs appeared shorter than the other. (One pant leg always had to be hemmed shorter than the other.) My legs and hips were x-rayed by my doctor, who explained that my legs were actually the same length but that I had a curved spine. The diagnosis was scoliosis. The curved spine caused my foot on the low-hip side to turn out. The unevenness of my body became quite obvious, and I was very concerned because the condition was worsening rapidly. A few weeks of physical therapy were arranged by my physician, who told me that scoliosis was a mysterious condition with no clear cause and with no cure. He also mentioned that if my spine curvature got worse, that surgery was necessary. I felt that something profoundly negative was happening to me, that gradually my body was losing structural integrity, and that there was nothing I could do about it. Exercise, I was told by the physical therapist, while certainly beneficial, would not make my body more symmetrical. So, I reluctantly began to face the fact that I was going to be increasingly crooked for the rest of my life and probably develop other joint problems. In fact, my right knee began to ache every morning. Meanwhile, the tension in my jaw had become a constant daily and nightly ordeal, also with no real hope of ever returning to normal. I had made an appointment at a TMJ clinic before I came to you for treatment. I kept the appointment because I was curious about what treatment was offered. I was completely checked out by a neurology nurse practitioner, whom I told of my NUCCA chiropractic treatment and when it apparent that I no longer had TMJ AT ALL, she said that I must have had a neck problem instead of a jaw problem. ABSOLUTELY!!! I would never have believed that my jaw could relax so completely, not after six years of constant tension, not instantly. I had thought that even if the source of the tension were somehow miraculously eliminated, sheer habit would cause the tension to persist. But no residual habitual tension was even present. And that was about two months ago and my jaw are as relaxed today as on the first day of the treatment. Head and facial aching gone, bite completely normal and solid. I was in a constant start of bliss for weeks because of the sudden absence of TMJ. I still am! That alone would have been enough to make me an avid proponent of NUCCA chiropractic. But that was only the beginning. As you know, my spine is uncurling, hips moving back where they belong. When I first came to your office, my leg length difference was just over 3/4 of an inch. Now in alignment, my leg length is even. It’s incredible! But it’s true! I can see a significant change in my hips and my balance is much better. My right knee no longer aches. And as my newly adjusted atlas bone stabilizes in the correct position, I will need only minimal attention, perhaps a check up twice a year. So, the procedure is incredibly cost effective, solving problems for the long-term, but not requiring long-term expense. This has been one of the most amazing experiences of my life. I truly had come to think that nothing could stop the progress of my condition. I don’t think that anything but NUCCA chiropractic could have achieved these results. I have never been to a chiropractor, but I can’t see how adjusting anything else but the atlas could have produced these precise and rapid results. And I know that traditional medicine offered me not treatment. Although NUCCA chiropractic is a system based on rational mechanical engineering principals, it feels like a miracle to me. Best of luck to you as a practitioner and teacher of a gentle, brilliant and profoundly powerful healing art. After many fruitless visits to neurologists, chiropractors and acupuncturists I turned to Dr. Tsiglieris for help. I was experiencing severe neck pain for ten years, TMJ, tension headaches and muscle twitching. After several visits I began to feel better, after six months I had no more neck pain, no twitching and my TMJ began to disappear. With maintenance treatments every once in a while and after two years, I have never felt better! Dr. Tsiglieris is by far the best!